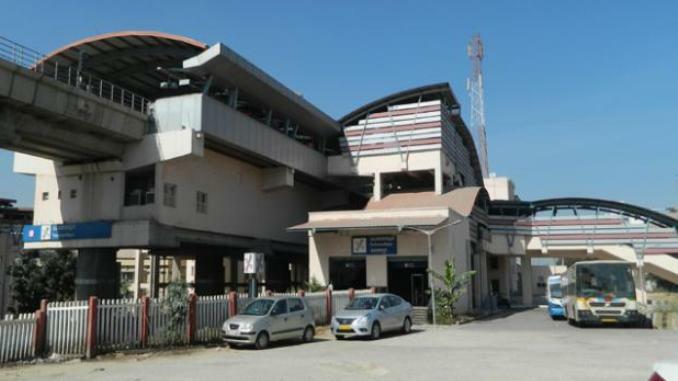 Bangalore: Work is all set to begin to connect the Yeshwantpur railway station with Metro station through a skywalk. The BMRCL (Bangalore Metro Rail Corporation Ltd) is finalising details of the skywalk that will connect the existing FOB of the platform number-6 of the railway station. Recently, Ajay Seth Managing Director BMRCL held a meeting with officials of the South Western Railway’s Bengaluru division to get clearance for the project. He said, the DRM (Divisional Railway Manager) has extended support to the project. He said, the railways has allowed us to construct the bridge. SWR officials had received a detailed proposal but sought changes in the design of the FOB to ensure the project will not come in conflict with their station development programme, they said. Already, works have begun to build a structure to provide canopy at the entrance of the station towards Tumakuru Road. Around 10,000 passengers change between railway and metro stations at Yeshwantpur every day.